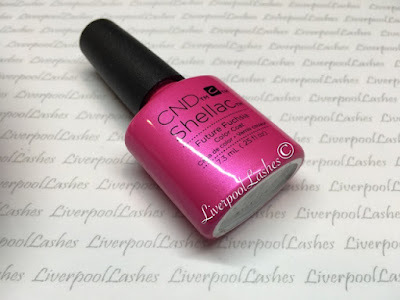 Following on from my previous "Focusing On" posts, next up is the CND Shellac shade in Future Fuchsia. This was hands down my favourite when I first saw the collection. It's a super bright pink with a blue undertone and a little shimmer. After playing around with it, this colour is really versatile by pairing it with most shades or even layering it over another colour. CND Shellac in Bicycle Yellow, Future Fuchsia over it and carved and Lecente Stardust in Milky Way over. Future Fuchsia with silver and gold holographic foil tapped into it. I then took a dotting tool and drew lines into the foil to break it up and give it more of a sharper look. 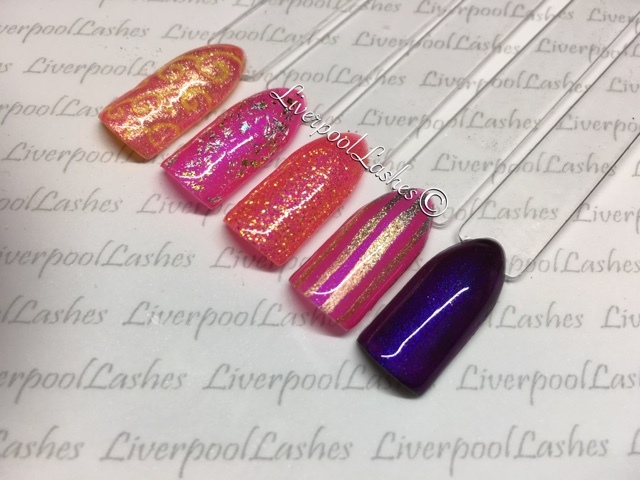 Future Fuchsia with Lecente Iridescent Glitter in Banana. Future Fuchsia with Lecente Stardust Glitter in Galaxy, CND Additive in Gilded Gleam and Blush Bronze over it. I then used top coat to paint stripes, removed the rest of the powders with D-Sperse and top coated. Overtly Onyx with Future Fuchsia over it.